General Public - $14 Adults, $12 Seniors (62+), $12 Students (13+ with ID), $6 Kids 3-12, Kids 2 and under free. Botanical Gardens’ Members - $12 Adults, $10 Seniors (62+), $10 Students (13+ with ID), $6 Kids 3-12, Kids 2 and under free. 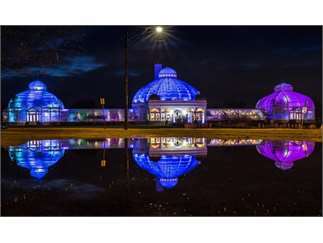 Go to www.buffalogardens.com for more information.